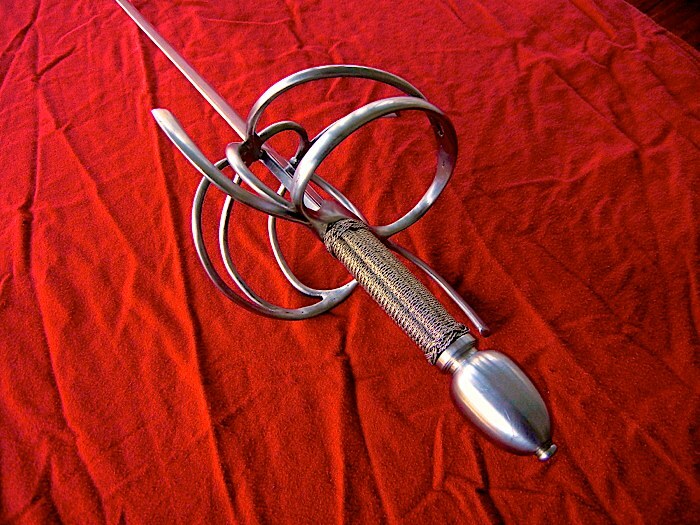 It has been quite a while since I posted any finished work...this particular rapier has been in the works for several months, but it's finally finished. Well, almost finished. 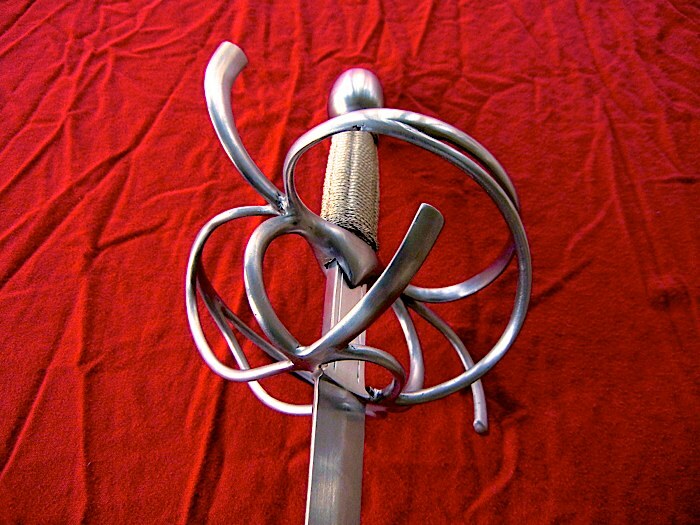 The larger turk's head isn't quite tight enough, so i need to make a new one. But it will look the same, so here she is. 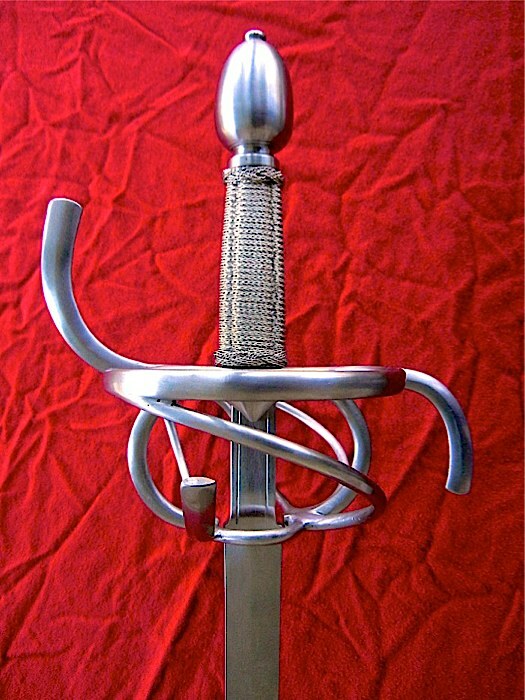 Hilt and pommel are steel with a wire-wrapped wooden grip. 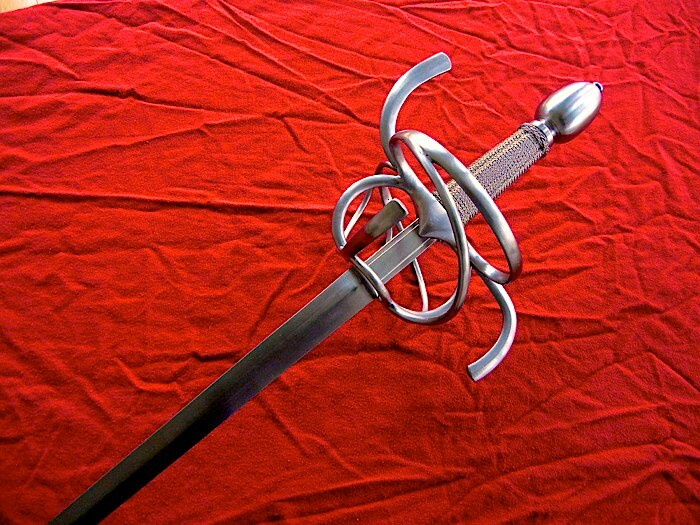 The blade is a Hanwei Practice Rapier cut down and heavily modified in the ricasso area. 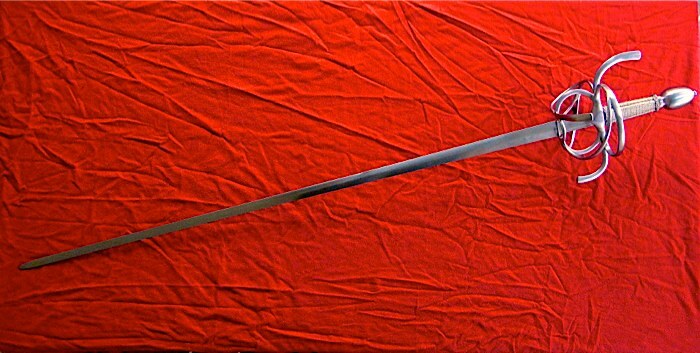 It measures 36" from tip to quillons, 41.25 overall. 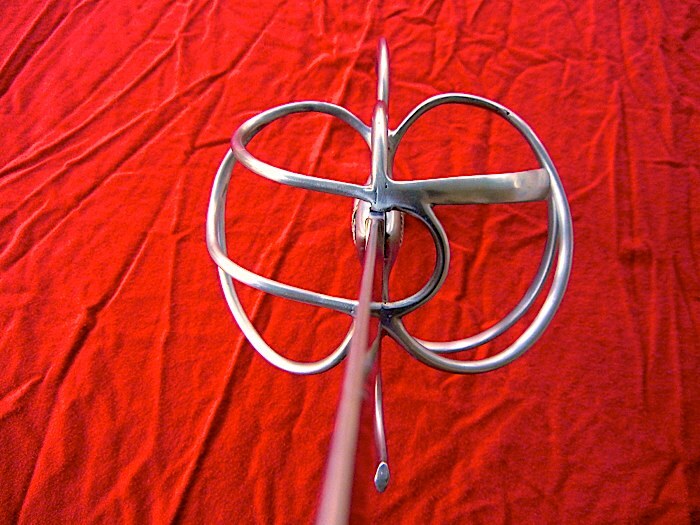 It balances about 1" above the guard. 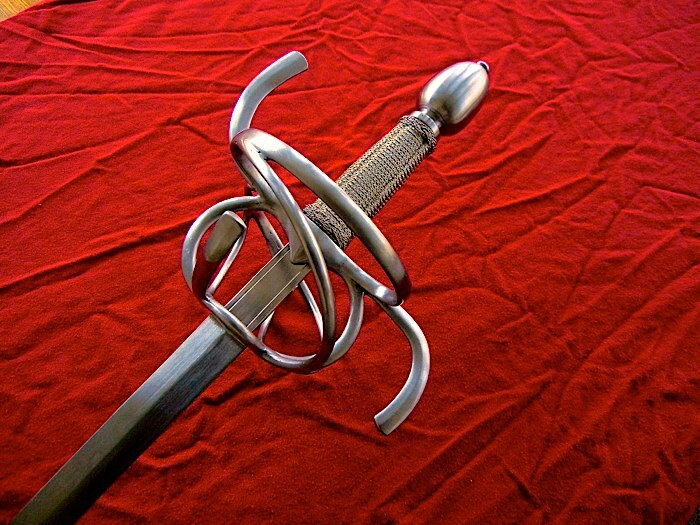 The hilt is based on an original that I saw in a scanned book, but I can't seem to find the source now. If anyone knows its true identity, please share. Picture below. As soon as I redo the turk's head, this will be available for sale. Please PM me if you are interested. Beautiful pictures! 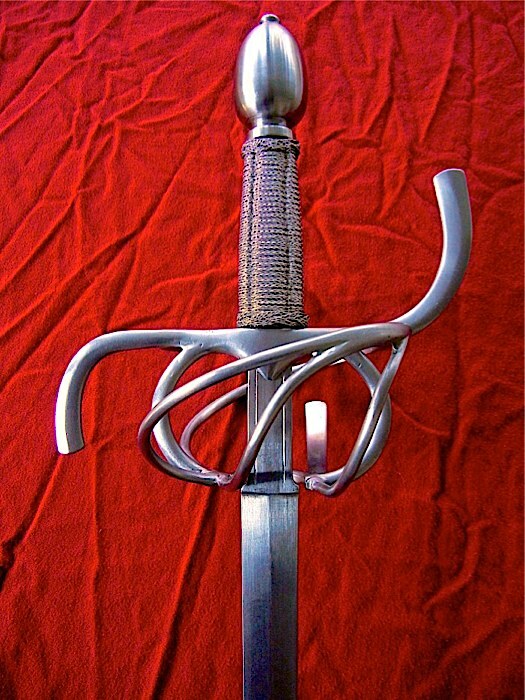 Beautiful sword! Thanks for re-sharing!! !